: I get it... So the transforming mystery landship was the Daitank. : That makes sense... Daitarn's about the same size as the Iron Gear, too. 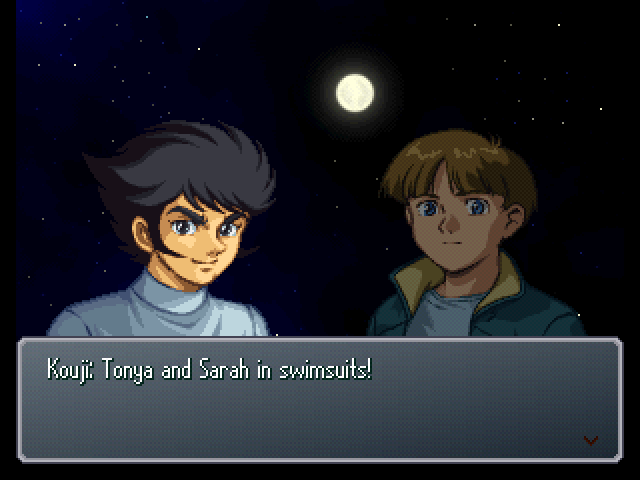 : Still, man, that's some work ethic, taking up ranger work even in the future. : Hey, you need money to survive, wherever you are. : It was pretty interesting work, taking up all kinds of jobs. : That kind of rough'n'tumble work actually kinda suits us. : I see. Still, I'm just glad to see you all in one piece. : Yeah, we're on course to arrive there soon. : The beach that Tifa drew should be in this area. : Alright, stop the ship. : Tonya, send word to the Argama and the Iron Gear to form search parties. : To go looking for that beach, right? Got it. : I'm taking Tifa and going out. You handle the rest, Sarah. : We might be closer to a rocky area than you'd expect. : Aah... I want to go swimming. : Yeah, no kidding. 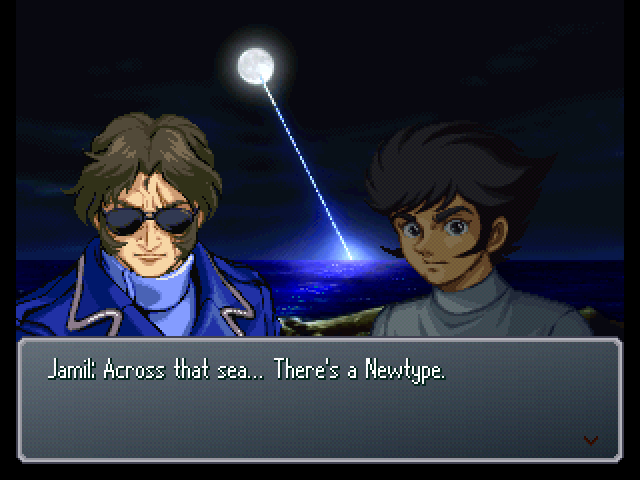 If we end up crossing the ocean, let's try asking Bright. : This is no time for that! : God, you're acting so serious about this. Don't you want to see? : What's got you so flustered, Usso? Did he guess right? : N-no, that's not it! 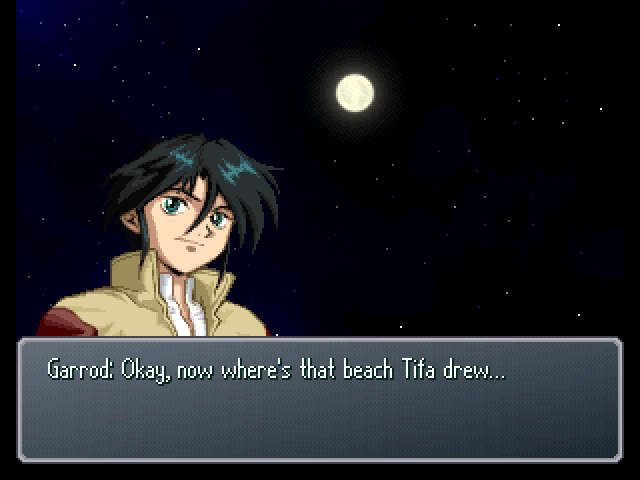 : Garrod, don't you want to see Tifa in a swimsuit? : See? 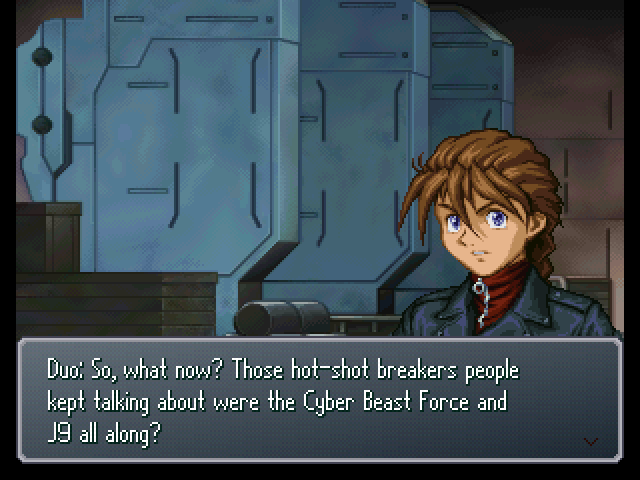 At least Garrod's honest about it, Usso. : Usso's all red! That's funny! : ! 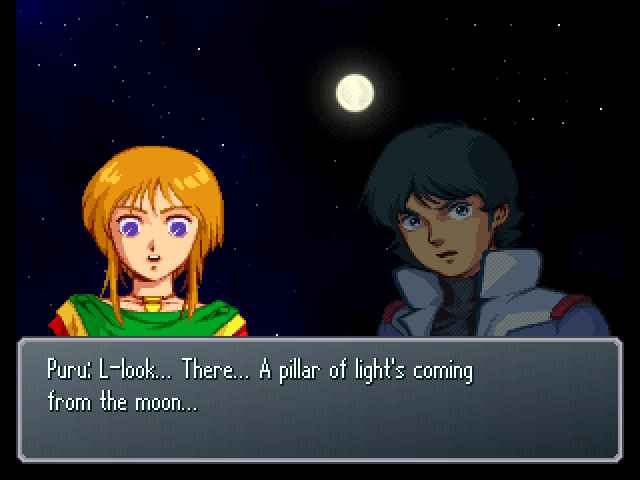 K-Kouji, take a look at that rock! 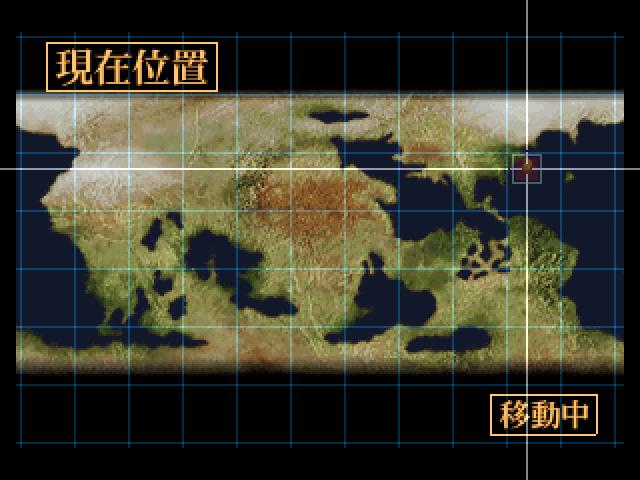 : It's definitely the same shape as the one in Tifa's picture. 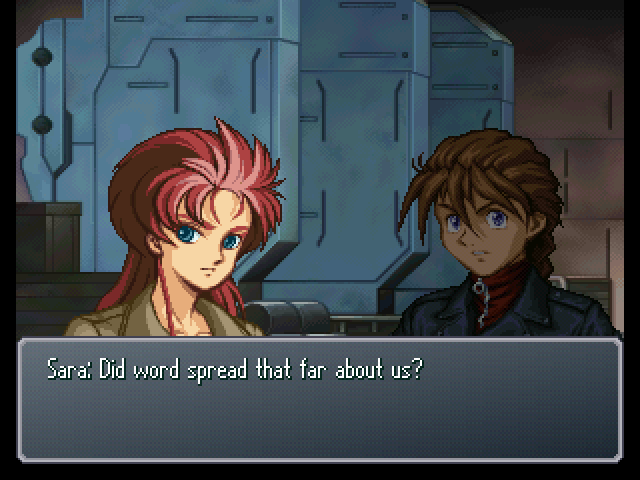 Puru, would you mind calling Jamil and Tifa here? 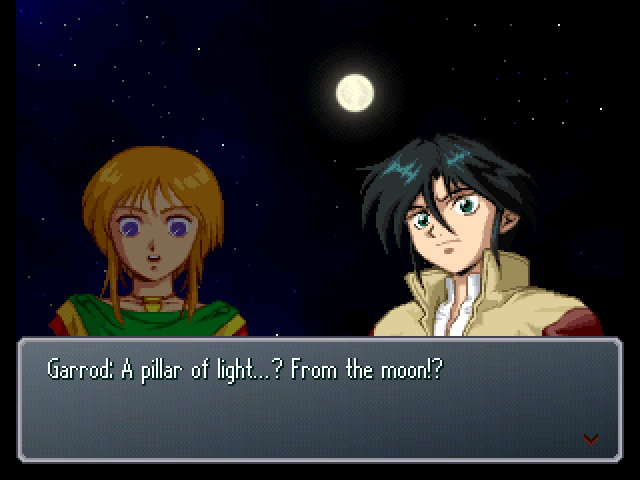 : What is it, Puru? 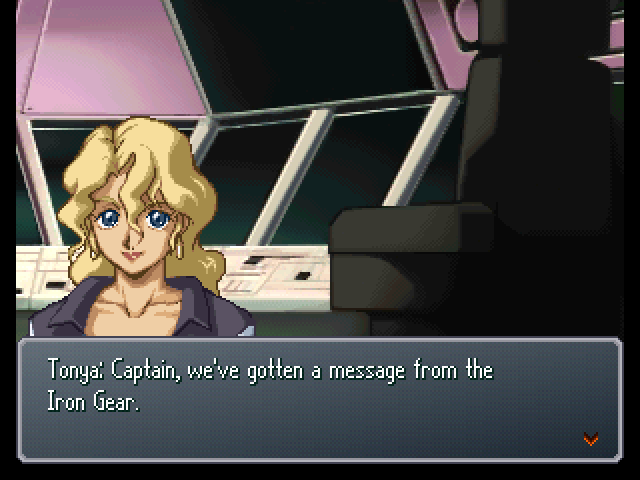 : Is someone... activating another Gundam X? : Jamil... Look at that! : ! 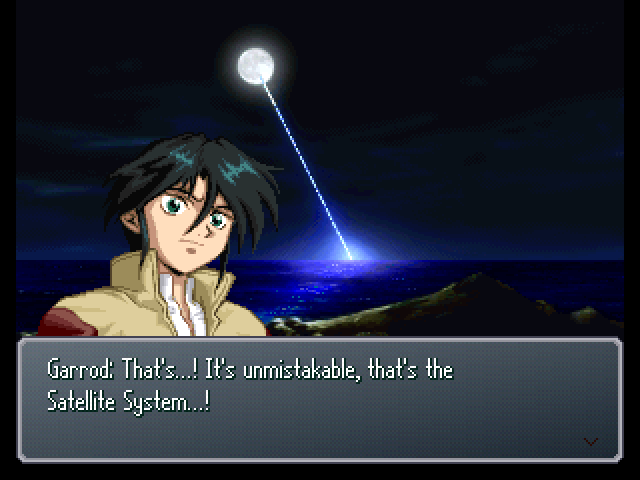 That's... the Satellite System's guidance laser...! There's no mistake, someone's starting up a GX...! : Wh-what!? 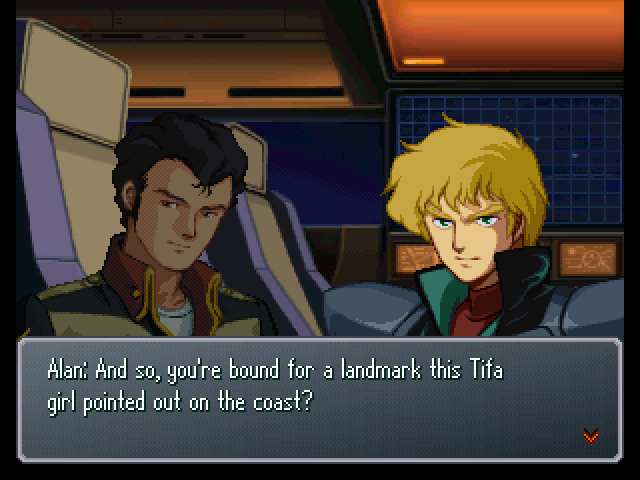 Did they mass-produce that Gundam!? 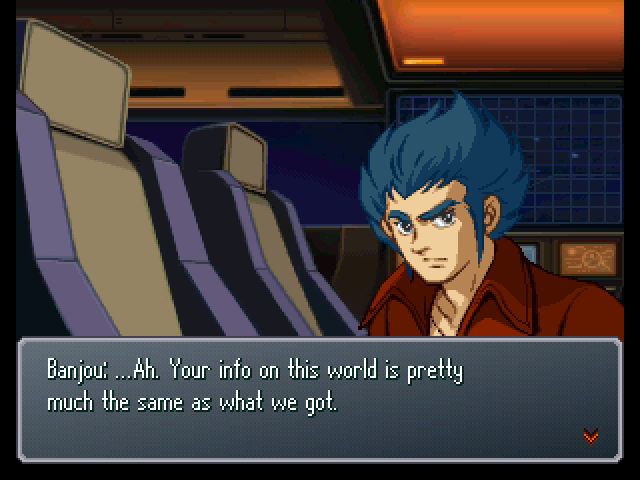 : So there's a Newtype with a GX there!? We're now half way through the game. This is where the game really picks up, in terms of both units to play with, and the plot.